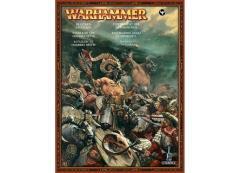 This Battalion set provides a great selection of plastic models, and is an ideal way to start a Beastmen army or bolster an existing force. This box set contains 40 multi-part plastic miniatures, including: 20 Gors, 10 Bestigors, 10 Ungor. Also supplied are ten 20mm square bases and thirty 25mm square bases.